FROM R750 PER PERSON p.p. Luxurious well-appointed ensuite 'tents' with all the comfort and services you have come to expect, lodge sleeps a max of 23 singles or 10 couples. Enjoy our famous outdoor bush bathroom including Victorian ball and claw bath, private veranda/deck overlooking the river or mountain. Safe and cosy, ideal for romantic or family getaway. Set in malaria free mountain wilderness. Eco-friendly 'off the grid' lodge. The adventure begins as you arrive; the 800m drop down the mountain in our specially adapted 4x4 vehicles lets you know you're in for a treat! 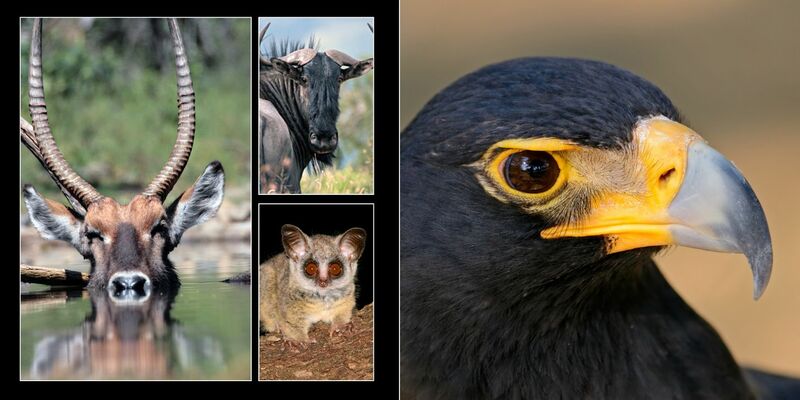 Black Leopard Camp is set in the 6000 hectare malaria free Thaba Tholo Wilderness, and is home to a wide range of mammals, birds and flora. Enjoy a welcome drink on the pool deck with the bubbling stream below and a cliff face rising 500 meters above you. Each unit is en suite with a wonderful outside bathroom that offers a shower and a Victorian ball and claw bath - grab a glass of wine, a good book and soak away the city stress whilst looking at the spectacular views from your bath. Black Leopard Camp is proudly 'off the grid' and provides its own electricity, water and waste removal. There are two pin plugs in the rooms for charging of phones, lap tops and cameras. Enjoy our famous 'Fireside Fare' or choose our self catering option in our cosy dining area as well as a couple of drinks in our bar with excellent views over the valley. Enjoy a game drive or bush walk daily and get to know about the eco system as a whole with our experienced guides. Learn more about our Leopard Research Program and keep your eyes peeled for these wonderful yet elusive creatures. 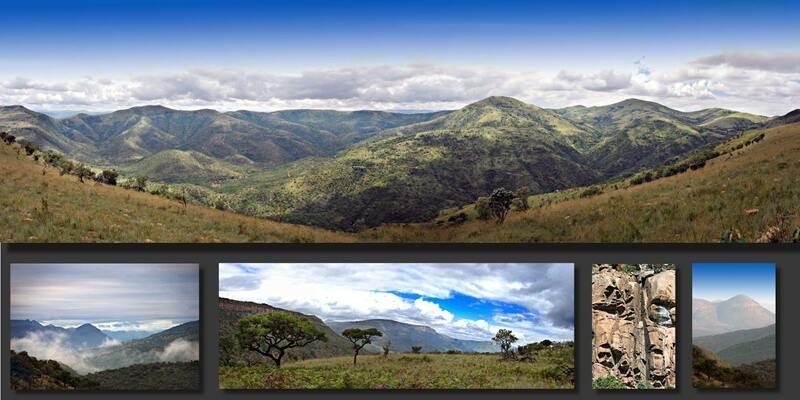 Uniquely positioned close to all the historical sites and natural wonders of the Panorama, Lowveld and Greater Kruger routes. 3 hours from O.R. Tambo International airport (Johannesburg). "Wonderful place! The staff is great, the place is well managed and the pictures dont do it justice, at ALL. If you want get away from city and enjoy nature at its prime then this is the place for you. Shout out to Bianca, Master P, Leo, juju, man everyone there was just great! "Most wonderful accommodation, everything is super comfortable and clean. One of the best romantic weekends away - cannot wait to go again. "Absolutely gorgeous place between the mountains for a romantic getaway. 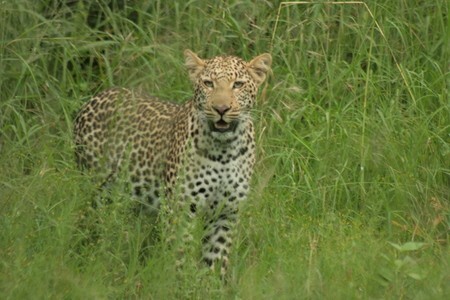 Thank you Lynsey and Allan we really loved Black Leopard Camp, will definitely visit again soon." "We were a group of 9 friends who stayed at Black Leopard Camp for the long weekend. The most special time was had by all. The accommodation was superb, the staff were friendly and helpful and the chef produced the most fantastic meals. A big thank you to Anton and Bianca for the great game drives an..."
"We were a group of 9 friends who stayed at Black Leopard Camp for the long weekend. The most special time was had by all. The accommodation was superb, the staff were friendly and helpful and the chef produced the most fantastic meals. A big thank you to Anton and Bianca for the great game drives and the loads of laughs. Special thanks to Alan and Lynsey for sharing the most wonderful bush experience." "Outstanding hospitality! Excellent service! What more can one say? The 'stars' below say it all!" "Had to be the Bush baby making contact with my 5 year old!" "I have become a huge fan and we will be back. This was great, fantastic, awsome, superb etc etc"
"The staff was welcoming. They are friendly and we even had time to have a nice chat with the owner. We went for a drive around the farm to explore the scenery and it looked absolutely breath-taking. Our experience was amazing and we will definitely be going back." "What a lovely setting, this is truly camping in style! The idea to provide a chef to cook on one’s behalf is fantastic and "Master Chef P" certainly did not disappoint, he's a star! We thoroughly enjoyed our stay with all of the staff being most friendly! This is a great choice for anyone who wants ..."
"What a lovely setting, this is truly camping in style! The idea to provide a chef to cook on one’s behalf is fantastic and "Master Chef P" certainly did not disappoint, he's a star! We thoroughly enjoyed our stay with all of the staff being most friendly! 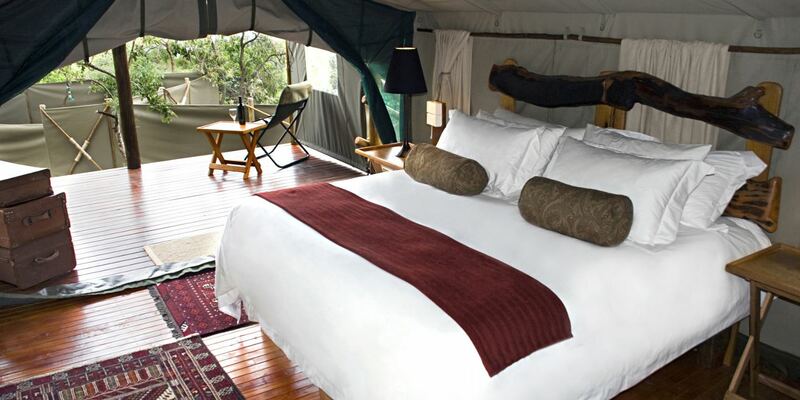 This is a great choice for anyone who wants to experience a luxurious South African camping experience! " "Just what we expected. Mountains, walking & peace. The self-catering option with your own chef to prepare your own choice of meals were the best thing I've ever done. Accommodation in tents, but the service was amazing. Hardly left the tent & it was re-done in a flash. Fantastic surprise to find a..."
"Just what we expected. Mountains, walking & peace. The self-catering option with your own chef to prepare your own choice of meals were the best thing I've ever done. Accommodation in tents, but the service was amazing. Hardly left the tent & it was re-done in a flash. Fantastic surprise to find a hot water-bottle warming our bed on a cold night. If you love nature and game this is definitely a recommendation." "Our stay was absolutely fantastic, the location is so amazing. You are so close to nature, right in the middle of the wilderness. The tented rooms were very smart and so comfortable. The staff was really nice, friendly and helpful. We enjoyed sitting by the fireplace, as well as the 4x4 game drives ..."
"Our stay was absolutely fantastic, the location is so amazing. You are so close to nature, right in the middle of the wilderness. The tented rooms were very smart and so comfortable. The staff was really nice, friendly and helpful. We enjoyed sitting by the fireplace, as well as the 4x4 game drives through the bush. We had a wonderful experience." "We simply LOVED our stay at BLC, the staff were friendly, the guides were informative and so full of life. This really is a little piece of heaven. "I had a great time, there were no problems at all and I enjoyed the stay here. Recommended." "Such an amazing experience! We had a fantastic time and were looked after so well by the amazing staff! Will definitely be returning!" "This is a spot that is really far away from everything but you do not have to travel 5000km to central Africa! It is a marvellous bush experience with friendly people and everything you need." 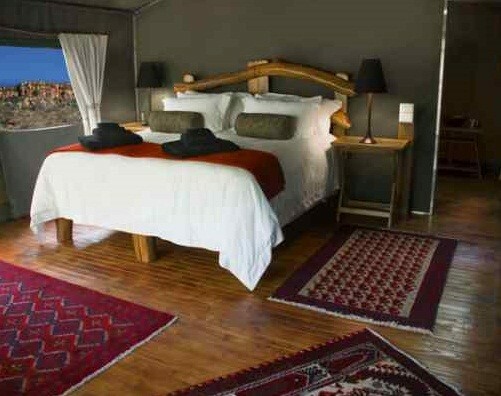 "My husband and I treated ourselves to a weekend at Black Leopard Camp to celebrate our 11th wedding anniversary. And what a treat it was! From the minute we were met at the pick up point by our friendly, knowledgeable, helpful guide, Dylan, to welcome drinks on arrival and non stop, top-class servi..."
"My husband and I treated ourselves to a weekend at Black Leopard Camp to celebrate our 11th wedding anniversary. And what a treat it was! From the minute we were met at the pick up point by our friendly, knowledgeable, helpful guide, Dylan, to welcome drinks on arrival and non stop, top-class service, we felt so welcome and so spoilt all weekend. There is nothing hosts Alan and Lynsey won't do for their guests...they are passionate about providing an outstanding experience to their guests! 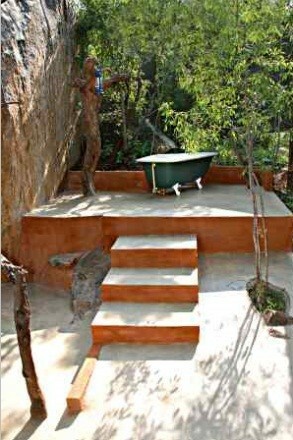 The tents are beautifully situated, spotlessly clean and our outdoor shower and bath were stunning. Black Leopard Camp is a real gem...we felt like we were in another world...I highly recommend it!! Thank you!! " "Wonderful - go there for 3 nights"
"Nice camp, really nice people, lots of wildlife and beautiful surroundings! Bumpy roads with excellent views of the area." "Wonderful escape in the mountains. 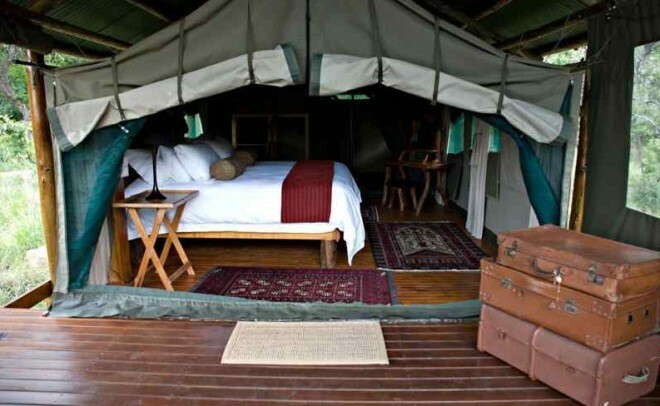 Luxury tented accommodation with all the detail. Excellent service. Very informative field guides. Everybody really goes out of their way to make you feel welcome. We will surely recommend this to our friends." "My husband and I had the most fantastic weekend at Black Leopard Camp. This is a real 'home away from home'. The accommodation and meals were fantastic! 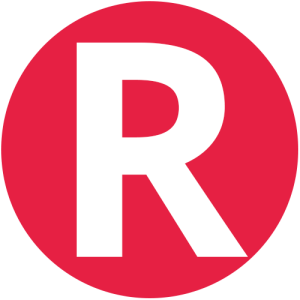 A big thank you to you all!" "Thanks to both Mike and Karen for welcoming us for the short one night. They were both very friendly and their camp is an amazing hidden treasure. Really enjoyed our time there! Food was also so yum and relaxing with a sundowner by the bar and warm fire was bliss. Rooms/Tents were lovely and snug for the icey weather at night. All in all what a wonderful place and will definitely be back to spend a few more days there!" "My wife and I stayed at BLC for two nights only and that was far too short. The tents were perfect, very clean, very comfortable and had all the amenities that one could want. The food was good 'home-style' cooking with nothing fancy but 100% delicious and 100% perfect..."
The food was good 'home-style' cooking with nothing fancy but 100% delicious and 100% perfect. The game drives and park itself were also great, we got to see a large amount of animals and learnt a lot each day. We really do recommend BLC as it was great value for money, great accommodation and a great stay all round." "We had a fantastic stay at Black Leopard Camp. What a beautiful, peaceful environment with Mike and Karen as lovely hosts-highly recommended."